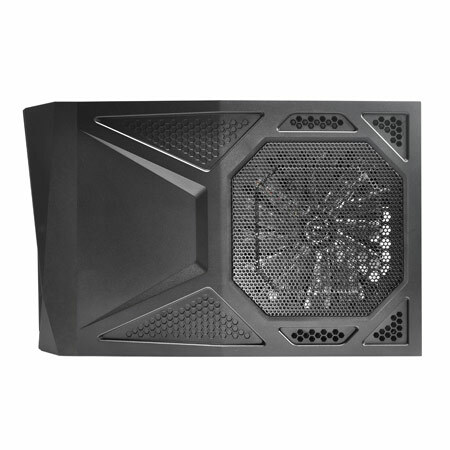 Thermaltake’s newest addition to their award winning ARMOR series PC cases, features the familiar “bulletproof” armor design concept with metal mesh elements and has a compact, lanparty friendly size. 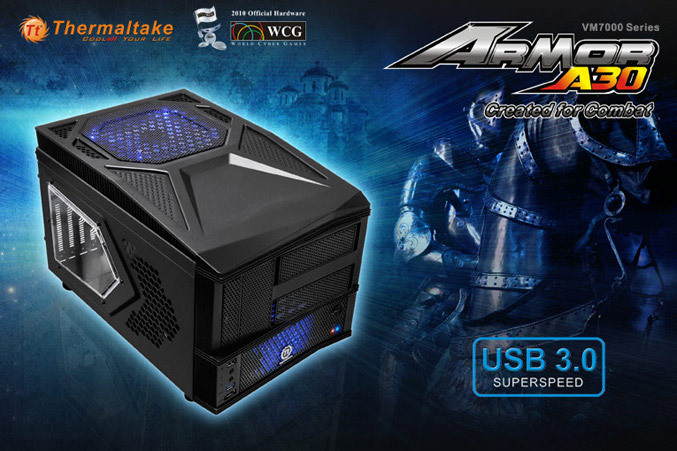 The Armor A30 measures 266 x 291 x 456 mm, weights 6.7kg and supports Micro ATX and mini ITX form factor motherboards, but Thermaltake claims that there is plenty of space for long graphic cards, suchs as Radeon HD 5970. 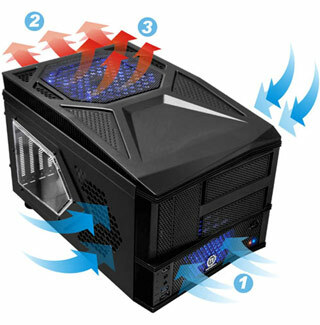 It features optimized ventilation and airflow, and is equipped with four fans – a 23 cm blue exhaust LED-fan on top, one 9 cm intake blue LED-fan in the front and two more 6 cm fans in the back. 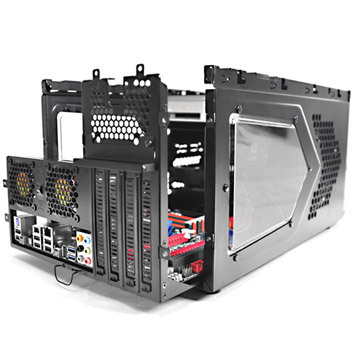 The case has a specially developed modular structure, offers 4 expansion slots in the rear, and two accessible 5.25’-inch bays and one 3.5’’. 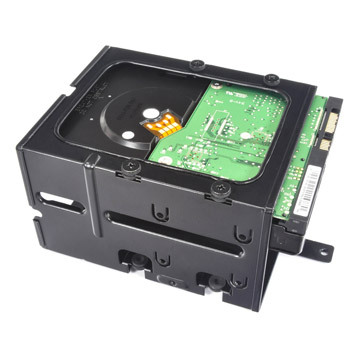 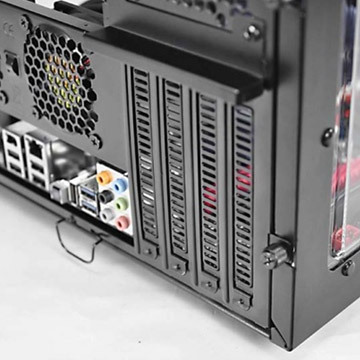 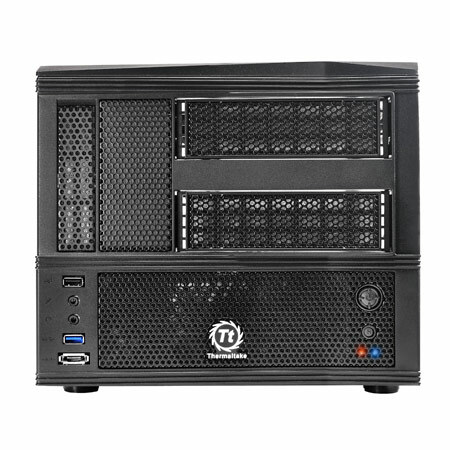 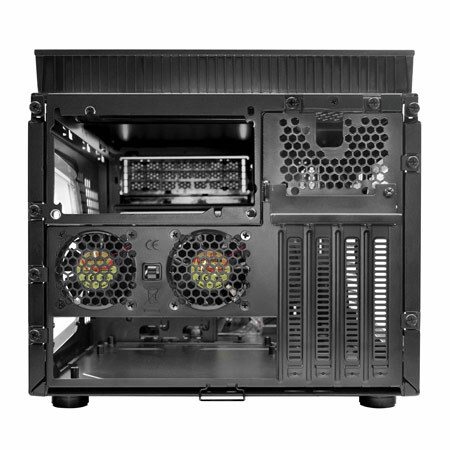 On the front panel for easy access , the case includes one USB 3.0 SuperSpeed port, USB 2.0 and one eSATA connector as well as HD Audio. 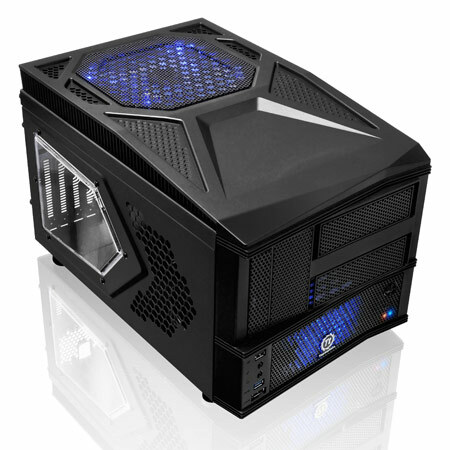 Furthermore, it has a special lock mechanism for your mouse and keyboard, just to be more calm when you will go on that LAN parties. 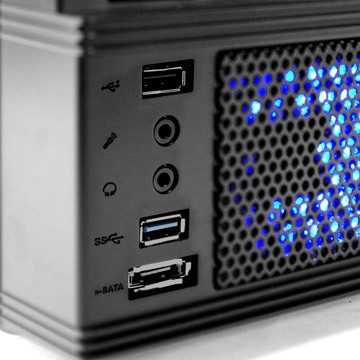 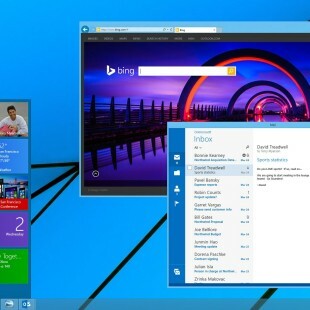 A30 will be available mid-December 2010, but the price was not announced.